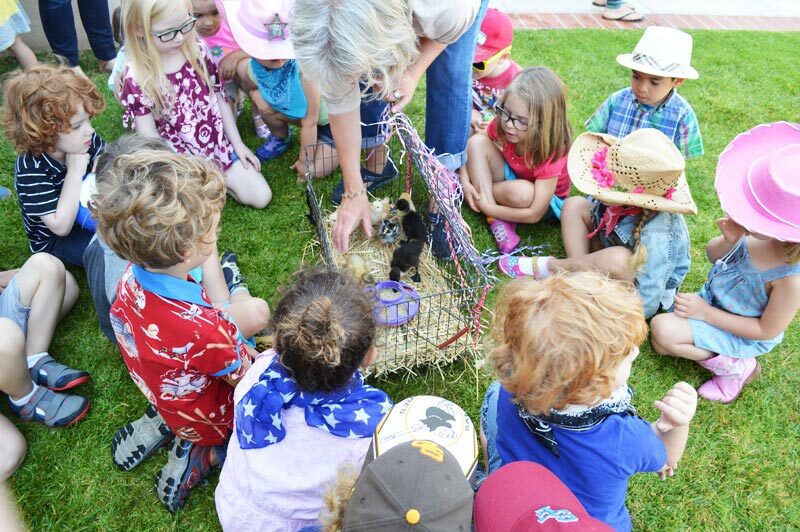 Commencing the week after the traditional preschool ends, the popular summer program encompasses four weeks of summer fun including water play, pony rides, a field trip to the nearby library, and a visit from the Humane Society and its animal ambassador. This program is open to currently enrolled students or to those children having just graduated from the 4’s class. Throughout the year our unique Parent-Child Class is offered to a limited number of parents, or grandparents and their 18-month-2 year old children. Be sure to inquire about this ongoing class which provides a gentle transition to the 2’s class. It offers many opportunities to play and engage with other young children in both the classroom and outdoor play space. Our extended day program is available to children in the 3’s or 4’s class and adds an hour or two, depending on parents’ schedules, to the typical day. Children share lunch with teachers and peers, practice manners and appropriate social skills, and engage in additional story time, music, and/or outdoor play. An added benefit is that this time prepares children for the longer school day that characterizes their future kindergarten experience.